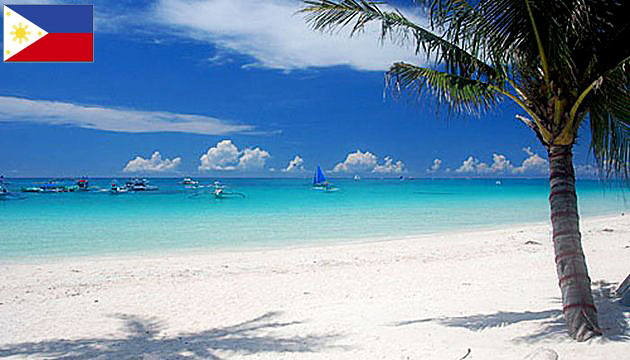 Boracay Island (Philippines).This island has a magnificent beach with over two miles of pure white sand. Never too hot to lie down on, it is perfect for suntan enthusiasts. The best time to visit is between September and June, when the eastern breeze is perfect, rain is rare and the sky is exquisite. 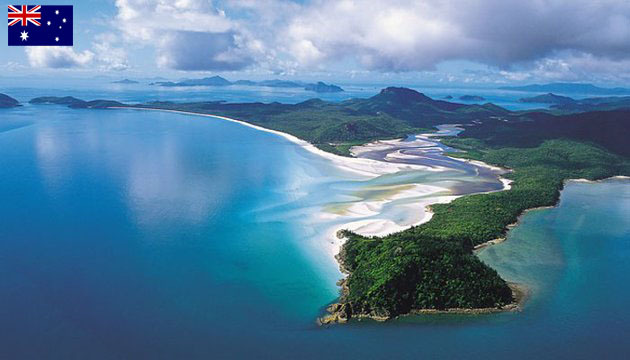 Whitehaven Beach (Australia). This stunning beach is located on Whitsunday Island, the largest in the Whitsundays group off the eastern coast of Australia. It extends over 6 km, with pure white sand so clear (98%) that it is used by space agencies to construct telescope glass. The beach opens out onto a narrow bay on the north side and a perfect picture is painted by the crystal clear water breaking onto the shore at various tidal levels. Maya Beach (Thailand). 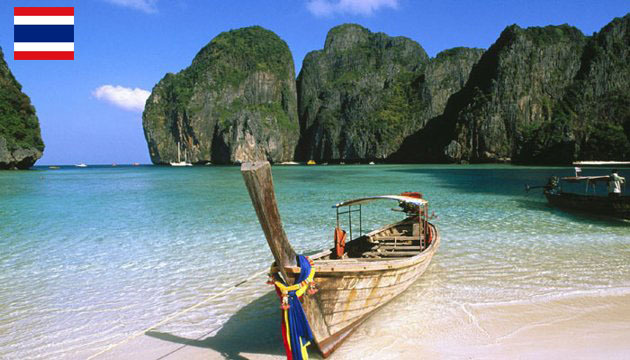 This flat beach is located in a bay on the island of Koh Phi Phi Leh, and is completely surrounded by rocky mountains. The beach became very popular after the movie “The Beach” was filmed there in 2000, starring Hollywood hottie Leonardo DiCaprio. One of its best features is its marine life, so divers are advised to give it a try. 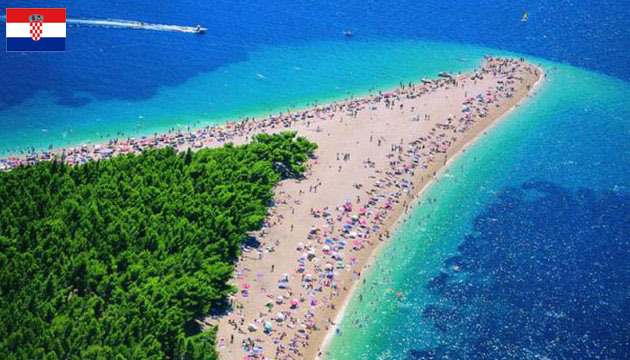 Zlatni Rat (“Golden Cape”) Beach in Croatia is one of Europe’s most popular beach destinations. Located on the southern coast of the island of Brač, the beach extends along a heavenly 580m promontory stretching out into the sea. This pebble beach has exceptional wind patterns and tides, as well as a beautiful shape. 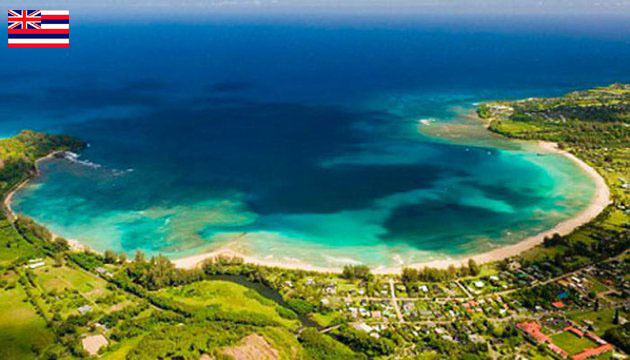 Hanalei Bay on Kaua‘i Island, Hawaii, is famous for its crescent shape. The backdrop of quick-moving clouds, waterfalls, mountains, grassland and tree canopy make this bay an exceptional spot. Fans of Hanalei praise it for summertime sunbathing and wintertime surfing – or simply watching the sun-kissed professionals demonstrate their skills! 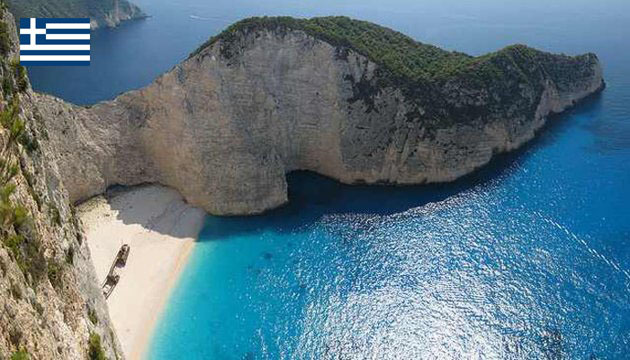 Navagio Beach (Greece) This beautiful sandy cove on Zakynthos Island in Greece is only accessible by boat. It attracts thousands of tourists every year and is well known for its rocky cliffs surrounding the bay from three sides. 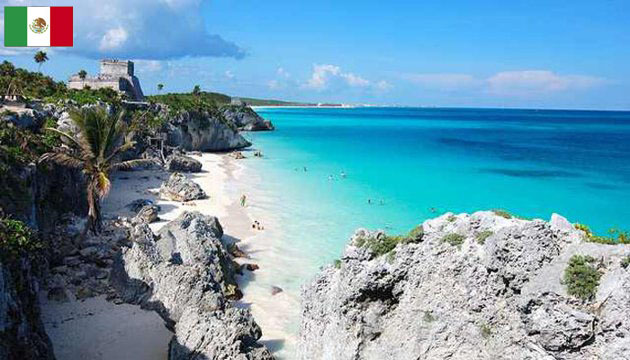 Fans of this beach remark on the clear blue water and beautiful white sand. Maldives Beaches (Maldives). The tropical island canopy, crystal clear water and clean soft sand are all remarkable features of these islands’ beaches. 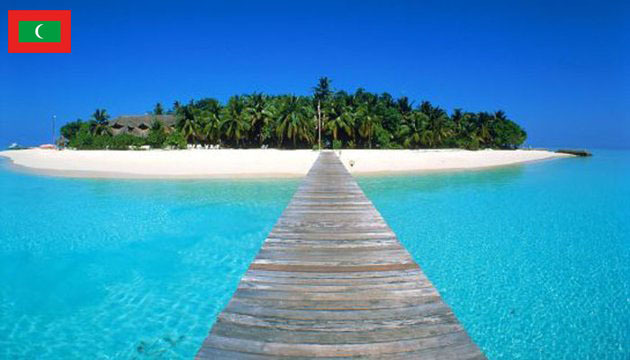 The Maldives islands are also famous for their rich coral reef ecosystems, making them ideal for divers and snorkelers. The islands have gained in popularity over the last decade, as many honeymooners have chosen these beaches as their dream destination. 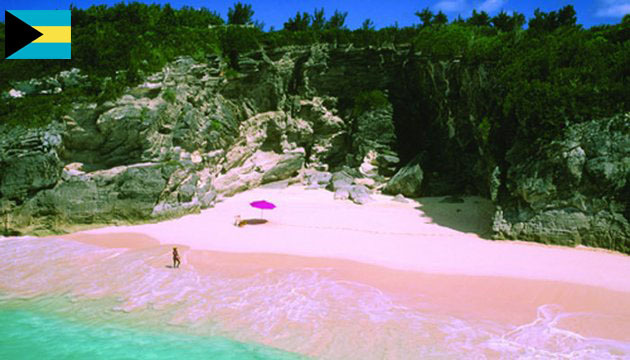 Pink Sands Beach (Bahamas) Located on Harbour Island and extending over 3 miles, this beach is definitely unique in every sense of the word. Its pale pink colour is a result of tiny crustaceans living in the coral reefs off the coast – when they die the waves wash their pink and red shells up onto the beach. This alluring and distinctive feature makes the beach a popular choice among holidaymakers. 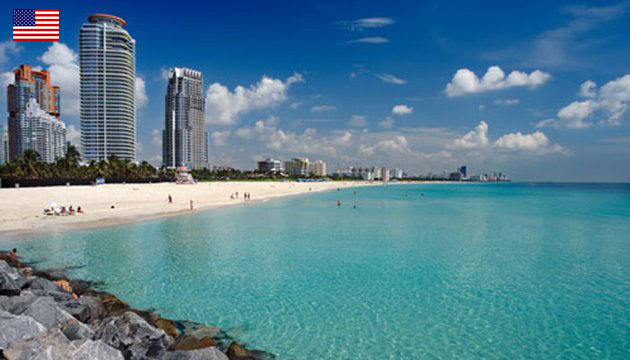 South Beach (Miami, USA) This is one of Florida’s best features and the USA’s best kept secrets. The warm sand, gentle waves and hip crowd make this beach a must-go destination. Young people will especially enjoy the frequent beach parties hosted by various clubs scattered along the beach. 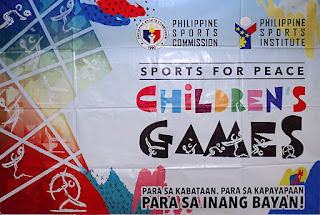 Children's Games is a major component of the Philippine Sports Commission's sports for peace program. It catapulted the Philippine Government to be the first to implement such program that meets the UNESCO's theme's and objectives. Taking on the challenge of President Rodrigo Duterte to make sports available to all, the Philippine Sports Commission chairman Mr. William "Butch" Ramirez revived what has been started in 2008. "The children are our focus, they are the real gold and far more precious than the ones in Southeast Asian games or the Olympics. They are the future leaders and peacemakers of the country. When children play, humanity celebrates" Chairman William Ramirez quoted. 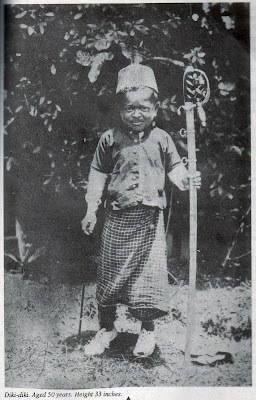 Once upon a time, in the vastness of the Sulu Sea, an island called Ubian was ruled by a well respected and diminutive Sultan named Panglima Diki-Diki. With his 3'2" royal stature, all honors, loyalties and respect that fits to a prince were conferred unto him by his subjects. Of Tabanog,SapiSapi,Saranggola,Banogbanog Kite or what have ya! Tabanog is a vernacular word for kite which is often played during the months of March to May, in time for the long school break. As technology advances, the art of kite making and flying gently creeps into oblivion giving unprecedented popularity rise to computer games. By resuscitating the game before reaching a flatline, the Batch 80 of SMSP conceived the idea of organizing a kite fest together with the all out support of the top honcho of the 27th Infantry Battalion. 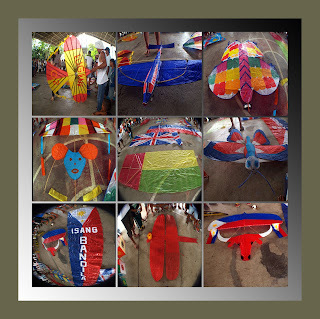 The contest has no kite size limits nor age nor residency limits and the registration was free, thus it attracted 33 registered participants mostly from Padada and its environs and one from Digos. Of the 33 registered entries, 9 failed to show up and only 24 entries competed.